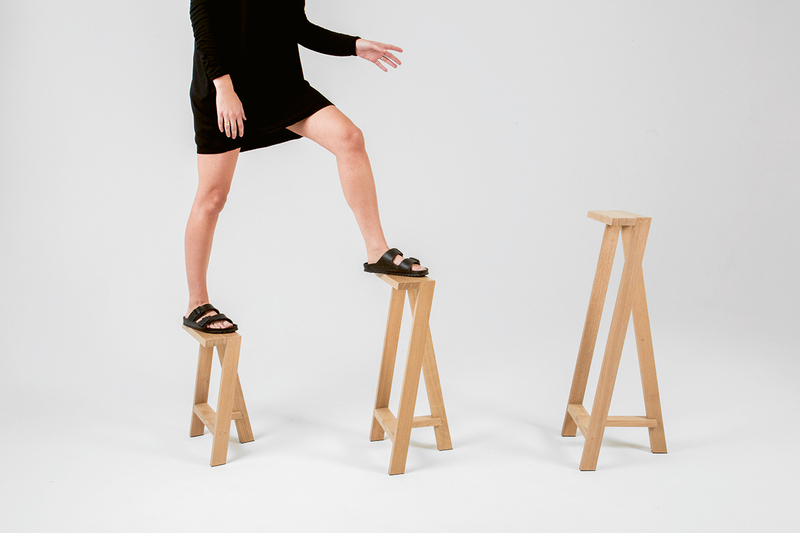 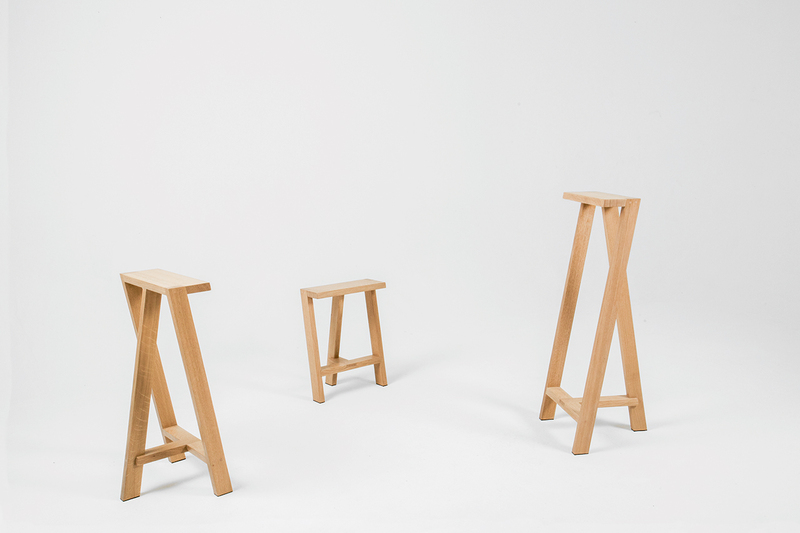 Pausa is a series of stools; 45cm, 65cm, or 85cm of assembled oak pieces. 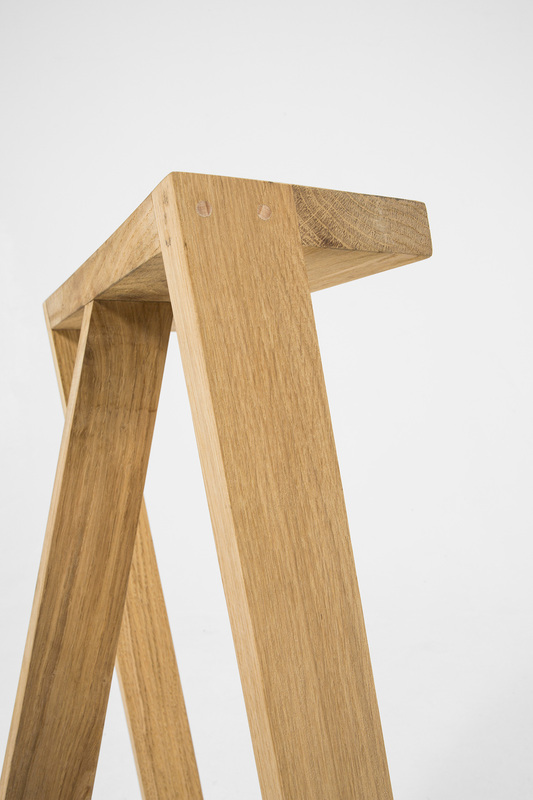 The narrow dimensions of the seat make for a perfect break on the three-legged structure. 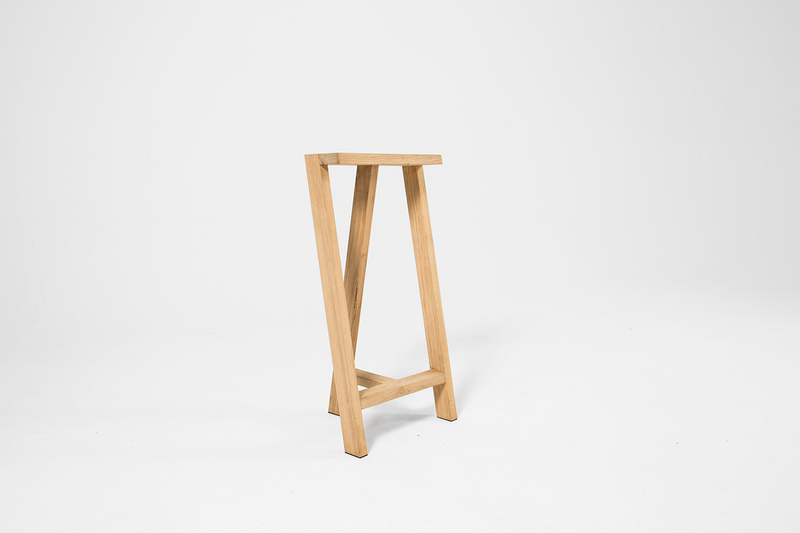 Whether seated at home or leaning over a bar counter, Pausa invites us to enjoy a moment’s peace. 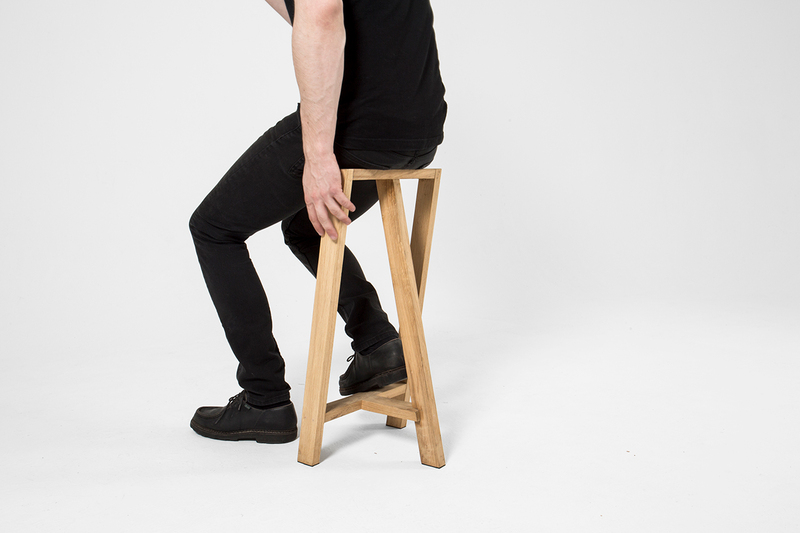 A moment that is accentuated when the stool is paired with Nascondino or Diplomate. 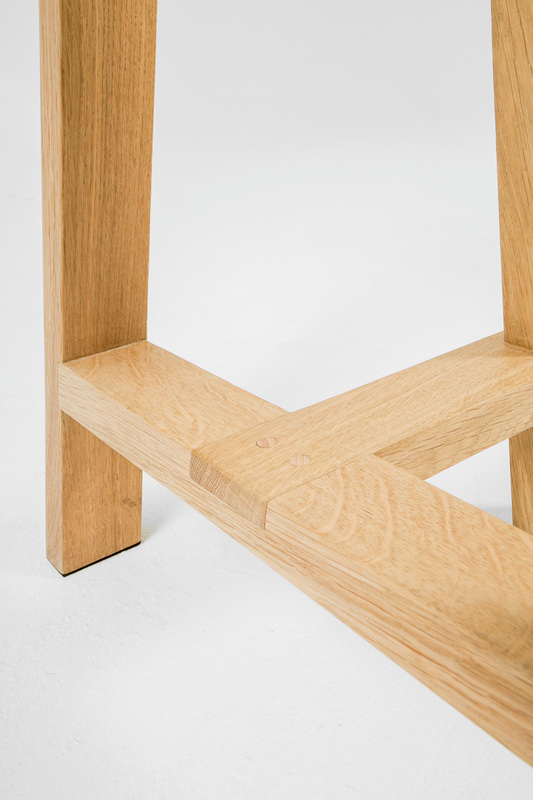 Pausa is produced and edited by Filantropie (Recyclart Fabrik), an organization that promotes young Belgian designers, while educating and employing individuals who are reintegrating society.